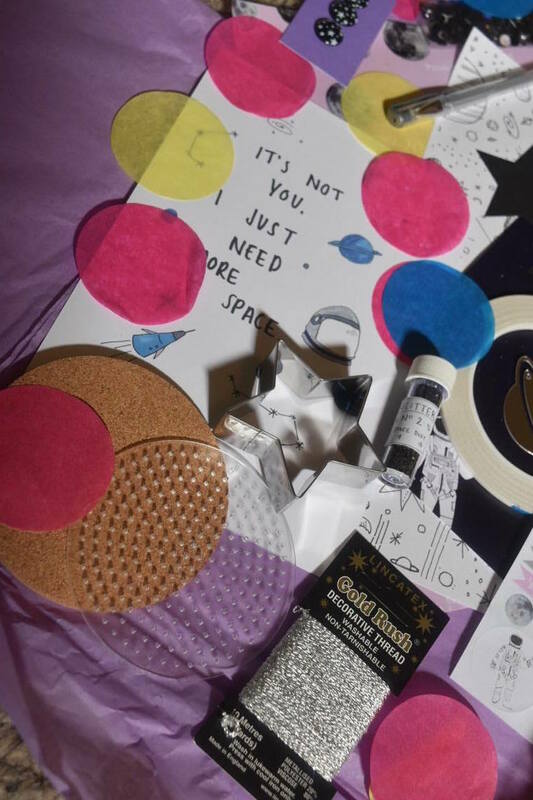 I was kindly sent a Glittery Hands Box last month, to test out my crafty skills. I was super excited for this to arrive in the post as I am such a big kid at heart, and when it comes to anything involving crafts, or making a mess, count me in! 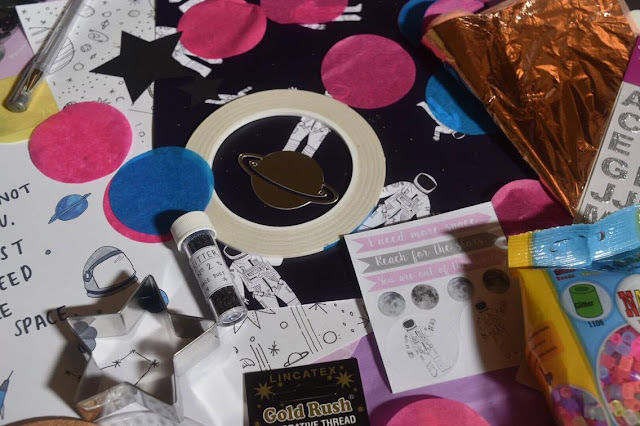 Glittery Hands Box, is a monthly subscription box of 'stuff' to get creative with and each month has a different theme, the one for May was Space. 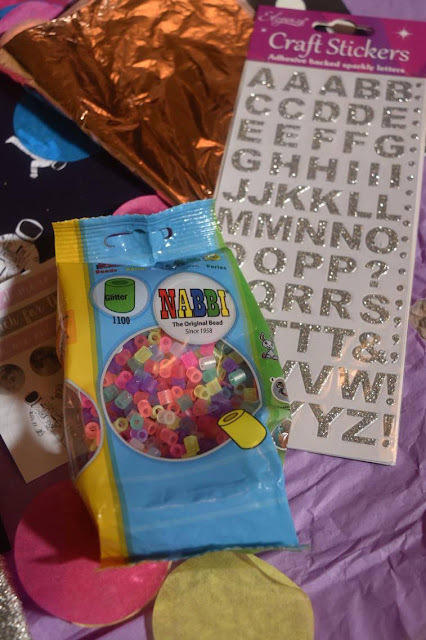 The box contained a mixture of craft bits, from star shaped cookie cutters, Star buttons, silver beads and plenty of glitter! Who doesn't love Glitter!? And glitter comes in every box. There is plenty to make and use with the box, so even for the less creative, I'm sure anyone would be able to put something together. The box is not project based, so you don't get given products to make something with, which is great as you can use all the elements just as you want to. The thing I most enjoyed was the Space prints, they came on thick card so they could be framed or used as wrapping paper for a gift for someone. This box would be a great gift for someone as a birthday present as its a bit unusual and quirky, and takes a different direction to subscription packages that people may already be subscribed too. 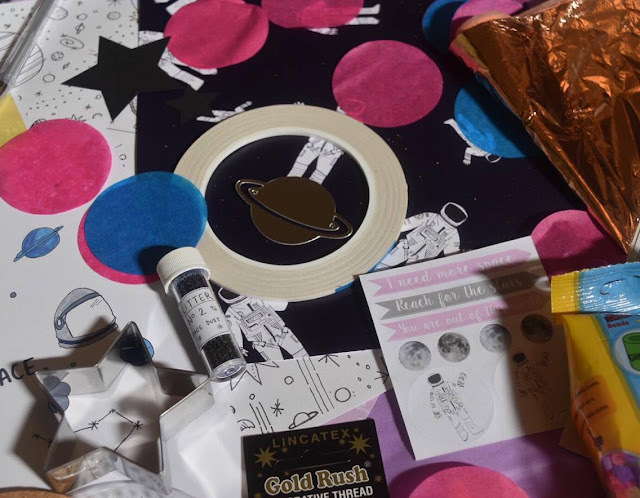 The items in the box are also suitable for any age (perhaps not the youngest of children who may think the little trinkets are sweeties) as you can easily tailor things for a younger generation. It does contain bits and bobs that you could craft with and make things with just the box contents, such as the beads, cards and the letters, but there are items such as the buttons and glitter you may also need to find other things to use them with. So it's not really all in one self contained box, so if you don't already have a craft box or supplies around the house you may need to pop to the shops. This was really the only small snag I found with the box so it's more of a range of materials that could use to make different things. The box is usually £18 plus postage for a one off box or £15, if you subscribe and I think that is really reasonably priced for the products you receive. As I think you could easily spend far more than this if you were to go into the specialist craft shops. 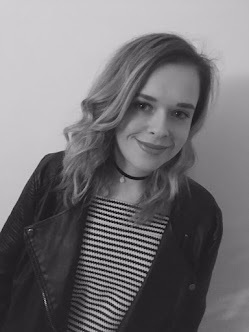 So, if you are a sucker for anything crafty that glitters or pops through your letter box then give The Glittery Hands box a go! *This product was gifted to me but the words and opinions are my own. This is such a gorgeous box, and what a great idea - especially as a present. Mostly though, it's made me want to do some hama beading, it's been a while since I've seen a bag of those around!